Final Friday Gallery Walks: studio walks are the Final Friday of each month from 6:00 pm to 10:00 pm. 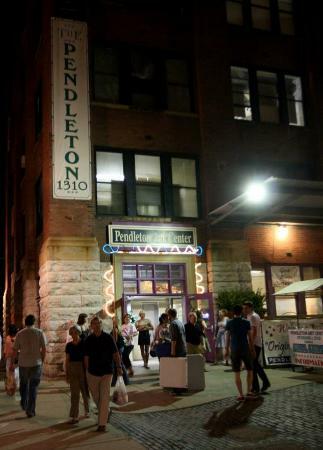 Studios of the Pendleton Art Center are open to the public, giving guests the opportunity to view creative art space, as well as purchase one-of-a-kind artwork directly from artists. Valet Parking is available for $5 at the front door ot the Pendleton Art Center each Final Friday. Self Parking is limited on surrounding streets. Several pay lots on Sycamore Street at 12th and 13th are several blocks from the PAC.